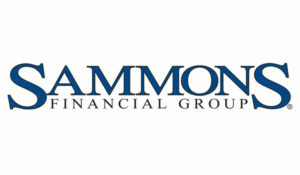 Sammons Financial Group, Inc. (SFG) is a subsidiary of Sammons Enterprises who ranks #71 on Forbes’ list of America’s largest private companies. SFG is a group of financial companies, including some of the most enduring and stable businesses in the financial services industry. SFG’s member companies, Midland National® Life Insurance Company, North American Company for Life and Health Insurance®, and Sammons Institutional GroupSM offer some of today’s most sought-after life insurance, annuity, and retirement planning products. Unlike most financial organizations, our companies are not publicly-traded, which means we’re focused on long-term value rather than short-term earnings pressures. As a privately-held company, our leaders and employees remain consistently focused on long-term growth, making decisions that allow us to deliver on our commitments to customers, distribution partners, our employees and our communities. Individually, our companies provide value in the products and services they offer. Together we represent a history of strength and longevity.